Underwear[Underwear? :underwear paper pattern cutter machine] pattern cutter[pattern cutter? :pattern cutter] pattern making[pattern making? :pattern making] is used to cut underwear pattern and it can what you design, with high accuracy, convenient operation, less complexity of the pattern making project. 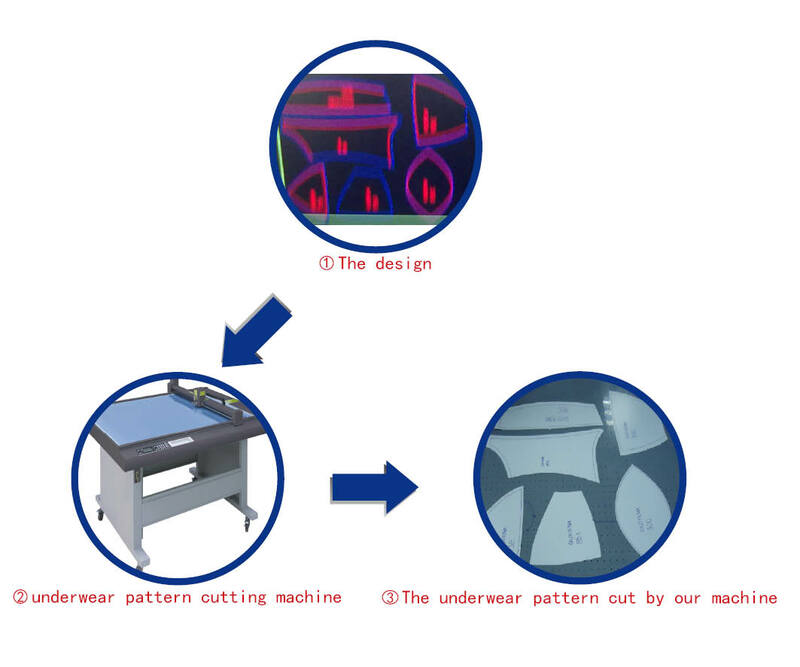 Our underwear pattern making have functions of cutting, half cutting, dotted line cutting,paste positioning cutting, folding line dot making. The main materials that CUTCNC[CUTCNC? :cutting machine sample maker manufacturer] underwear pattern cutter pattern making can process in underwear patterns are as follows: paperboard, kraft paper[paper? :paper sample maker cutting machine], PVC[PVC? :PVC sample cutting machine] plastic[plastic? :Plastic sample cutting machine] board,: paperboard, kraft paper, PVC plastic board, cardboard.Then DCE and DCP[DCP? :packaging sample cutting machine] series is the main type which is uesd to cut underwear patterns.